The Audio Aero Capitole MKII SE offers the best reproduction of voices and spaces that I've heard from digital. In fact, my only dissatisfaction is that the bass is a bit soft. My references (components I've had for 2 years or more) are the Esoteric P-03/D-03, the PS Audio PWT transport driving MyTek Brooklyn DAC, and the Teac P-70 driving the Universal Audio 2192 DAC/ADC/word-clock). But the reason for my post is that I can't figure out whether and how to turn off the display of the Capitole nor can I find a user's manual online. Can anyone help me out here? P.S. : My description of the product model year as 2004 is just a guess. a brief description of the Aero Capitole mk2.. The capitole opens a new world of musical reproductions, even with ordinary normal CDs, it realy brings out a huge soundstage, a neat background sounding, and trully amazing details. If you want to re discover your stack of CDs ..do try this amazing player. It is very very special..
An audiiophile would know what I mean, by not regreting their couple of thousand bucks spending for this wonderful piece of art..
everything is liquid, excellent soundstaging and dimensionality. My friend, DO NOT USE another PREAMP because Audio Aero Capitole SE has 2 inputs as preamp. This is review for Audio Aero Capitole Reference Special Edition SE late 2007 model, I have changed original fuse with HIFI Tuning Silver - Gold fuse. It bring to another plateau of musical heaven. I used Marantz SA11S1 revised in the past, sold it and given up SACD. Now I can live with Capitole SE and Redbook CD never sounded any better. This CD player has the edge over sacd. For midrange/vocal Capitole Reference SE is defintely better than Audio Aero Prestige sacd. I have compared this CD player with MSB Reference and Audio Research Reference CD7, MSB Ref. has excellent resolution for details for recording like Jazz at Pawnshop, all noises were revealed. But when it comes to VOCAL ARC Ref CD7 is better than MSB, then again Audio Aero Capitole Reference SE stole the show by trumping thses 2 top nothch CD player. It is the best overall performance capturing the vividness of vocal and instruments. It comes with its own preamp, I connect it directly to my ARC Reference 210 via xlr and rca to my sub Velodyne DD-15, who need ARC reference 3 preamp anymore........ this is real bonus and less cablings. Sweet, smooth, beautiful music only nothing else. Did not like the remote control unit, do not know why. This review is for Audio Aero reference CD Player (Signature Edition). Most probably this is the best player in the World, absolutely gorgeous. Do not want to bore people by explaining the sound, bass etc.etc. If you have money go and buy it, and then you will thank me that you did. Someone in this forum wrote that raymeo and DCS the only two player is better than audio aero, may be so with their older model, but with this new one they are not, as I have listen to Raymeo side by side with Reference and it bits Raymeo with every expect. Life is much better now with Aero, believe I can not sleep well as always thinking that I missing some time of listening. I have just purchased so burn in period is not over and only God knows what will happened after that. Suggestion: need to use very high quality interconnect and speaker cable, and also need to change the power cord as well. DCS, Raymeo, Balance Audio, Audio Aero Older Models. Stunning inner resolution! Overall sound quality on every different type of music.Black Diamond Racing cones for stability.Has performed flawlessly for 10 months now.Excellent,fast,realistic bass.This unit was set up with 4 analogue inputs to be used as a preamp.And again it performs excellent.In fact when playing an inexpensive Sony SACD 333es cdp thru the Capitole,SACD's sound better than most cd's played thru the Capitole. Cost.So far there have been about 10 cd's that the software reads in a very unuseual manner. (that is only 2% of my cd collection. Plan on buying a very good power cord,this unit deserves it and you will be rewarded! After living with a Naim CDS2 for about 2 years I thought it was time for a radical change. And what a change. The Capitol came in to my system and really changed everything. I now had soundstaging and heard things in the music that I had never heard before. It has a very warm but very analytical sound and also very very musical. Not as good as my VPI but then the VPI is another story. The bass response is close to the best I have heard from CD player. For the money I'm surprised it doesn't sell a lot more. A while later I ended up changing the Capitol to a Prima plus the Whest Audio DAP.10 which worked out a lot cheaper and sounded even better. The new combination is streets ahead of the Capitol and anything I heard up to about £5000 in every area. I recommend the Whest and hope I can review it at some point. Would I recommend a Capitol, yes if you can't get a DAP.10! Plays music like no other CD player can! 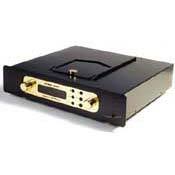 Audio Aero Capitole Mk II is the only CD player I've heard which can be compared to the best analog front ends. It's the first time since I sold turntable some 15years ago that I listen to music with long forgotten emotional involvement. Amazing achivement! Poor distribution network in France, much better in the UK. CD player does not get better with on-board Anagram chip, which really upconverts signal to 24bits/192khz. Amazing sound on ANY kind of music. Linn CD12 (too expensive), AudioResearch CD3 (dull on classical), AudioMeca Enkiathus (less flexible). All the audio parameters are excellent. I think one needs not ever better player in traditional CD-format listening. Display dimming system gives a little high frequency noise(not from speaker!). - It has been repaired in the latest versions. This is absolutely one of the best CD-players available! As the other enthusiasts and audiophiles have said the Capitole II has a huge soundstage, a top level accurate but in same time ear satisfying sound. In my opinion it is natural said in one word! The preamp of the player works perfectly. One needs not a seperate preamp if only Capitole is used as a source. I have connected it directly to the Gamut D-200 mkIII and the result is just perfect(interconnect cables are Siltrech Forbes Lakes)! The use of the player needs some extra work but the loading system and remote control is just fine for me. Wadia's top level models, though they have rather different costruction. I compared it with some of the best equip. available,such as : Einstein tube Cd player,electrocompaniet stereoplay specila edition,Shanling 200 Cd player,Mark-Levinson and Burmester but this one is clearly superior in my opinion.The only two other CD players I heard that could compete with this one are : Reimyo and a prototype from Gryphon.